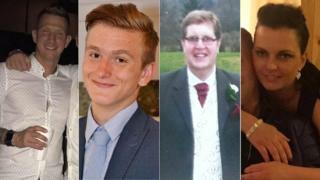 Four people who died when a tram derailed in south London, killing six men and one woman, have been named. Phil Seary, Mark Smith, Dorota Rynkiewicz and Dane Chinnery were all travelling on the tram when it crashed just after 06:00 GMT on Wednesday. The vehicle left the track as it negotiated a sharp bend. More than 50 people were also injured. An extra minute's silence was added to the Armistice Day ceremony at Croydon Cenotaph to remember the victims. British Transport Police (BTP) is investigating claims made in a Facebook post last week that a tram "lifted onto one side at 40mph" at the same spot. "It was like walking out of a war zone," the 20-year-old chef said." 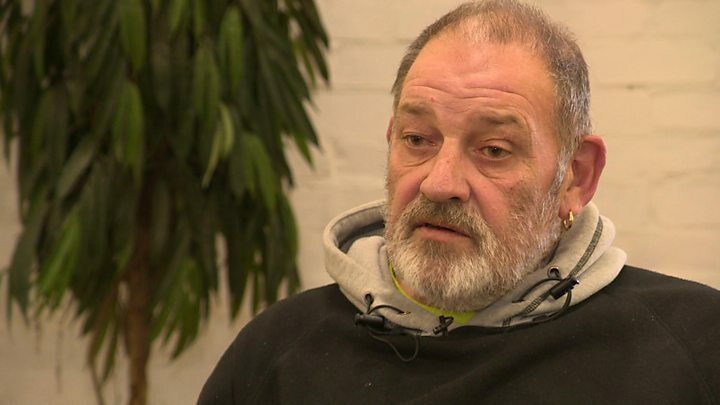 "I know the community and our council will continue to support, in the weeks and months to come, all those affected", council leader Tony Newman said. Wayne Trakas-Lawlor, mayor of Croydon, said: "This tragedy will live in our hearts forever and we will never forget". It has already said the reason for the crash was excessive speed on a sharp left hand corner, but it is trying to find out why the tram was going so fast. Was this a technical issue that could be rectified? The preliminary report next week will set out how the full investigation will continue. That process will take many months. But if there are any urgent safety recommendations for the operation of trams it will release them straight away. The report is technical and it will not apportion blame or liability. Once moved, the tram will probably be taken to the RAIB base in Farnborough for further examination. Have you been affected by the incident? You can share your experience by emailing haveyoursay@bbc.co.uk.